There are those actors that get the break with their first works, others have to wait a little while, while others have forever to wait for. Jaylen Barron is an actress who falls in the second category. She began her acting career in 2012, but it was until 2017 that she made her real break when she got the role of Zoe Phillips to play in the Netflix original series, Free Rein. Also a social media influencer, Jaylen began as a model when she was just a child and it was after she recorded some considerable success there that she chose to add acting to her resume. 31 August 1998 was the day Jaylen Barron was born in Reno, Nevada. She was brought up alongside her sister who is also a model and actress, Sofia Barron. When she was three, Jaylen watched Barney and Blues Clues with her mom and immediately, all she wanted becoming was an actress. Since she was a kid, she has always loved acting and has identified Halle Berry as her idol. However, the first opportunity she got was not as an actress but instead as a child model. When she was 12, her family moved to where everyone who is serious about having a career as an actor goes, Los Angeles. Her first modeling gig was for a girls clothing brand known as JUSTICE. After that, she got some more works as a model before moving forward to have a career in acting. She got her first role as an actress in 2012 when she appeared in an episode of Bones at the age of 13. In the same year, she was also in Shake It Up and See Dad Run which she continued appearing in until 2013. From 2013 to 2014, she was a recurrent guest on Good Luck Charlie and then in 2016, she got a recurring role of Dominique in Shameless. Later in the same year, she got the role of Tina in Those Who Can’t, although she only appeared in two episodes. In 2017, she was Jenny Jones in the film Explosion Jones. That was also the year that she got what still remains as her biggest and most important acting role yet in Free Rein. She took the main role of Zoe Phillips in the British television series which won two Daytime Emmy Awards for Outstanding Children’s or Family Viewing Series and Outstanding Directing for a Children’s or Family Viewing Series in 2018. In recognition for her talent and acting prowess, she was nominated for Best Performance in a TV Series – Recurring Young Actress between the ages of 17 to 21 for her role in Good Luck Charlie at the Young Artist Award in 2015. Before then, she was also nominated for the Young Artist Award in 2013 and 2014. At the moment, her career mainly revolves around the television as she is still yet to have any major film role. Jaylen Barron is not the only celebrity in her family. Her younger sister, Sofia Barron who was born on June 23, 2006, is a child model and actress. She appeared in an episode of See Dad Run, playing the younger version of Jaylen. Sofia is the only sibling that the actress has. The Shameless actress does not have a husband and she has never been married. More so, there is no information on anyone that she is dating at the moment or even if she has ever had a boyfriend in the past. Barron is of Brazilian, Venezuelan, and African-American heritage, although she mostly refers to herself as a black woman more than anything else. In fact, she uses her social media to speak about issues concerning blacks. Apart from English language, Jaylen is also fluent in other languages such as Portuguese and Spanish. 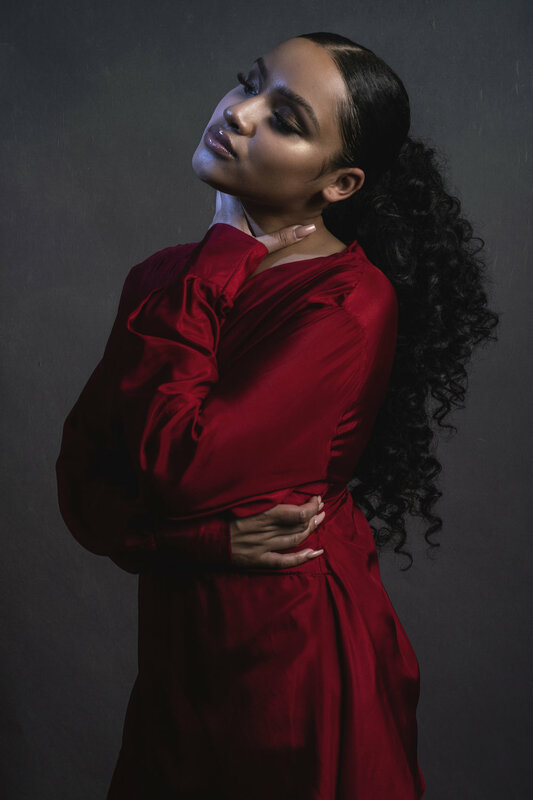 Like so many other actors, Jaylen Barron began her acting career in the theatre where she developed her skills before finally hitting the screen. On social media, Jaylen enjoys massive followership with over 223 thousand followers on Instagram and close to 10 thousand followers on Twitter. Even as she is a model who has very good looks, Jaylen is not the tallest woman that you will find as she only has a height of 5 feet 4 inches. Her body weight is 53 kg.